Harewood House has over 100 acres of gardens. 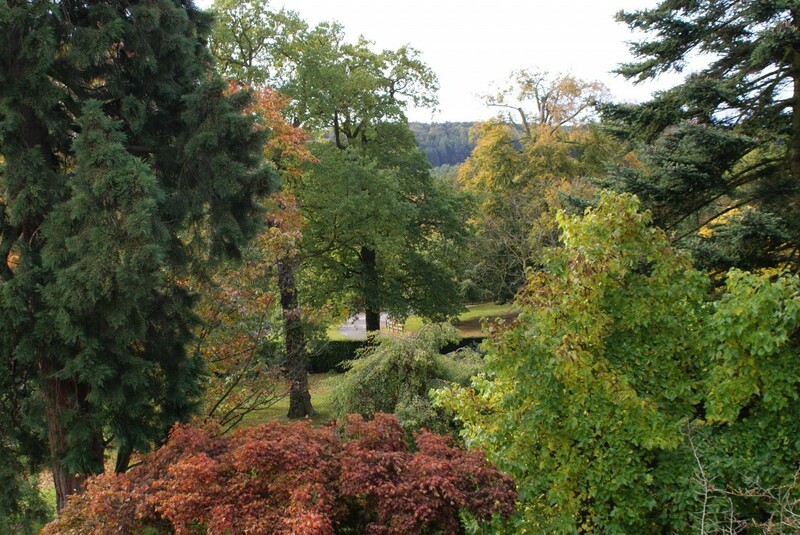 Here you can see the West Garden bursting with autumn colour. As you walk from the Terrace to The Courtyard, you pass though the West Garden, a leafy haven of majestic trees and choice shrubs, full of colour and interest throughout the year. In spring the grass is carpeted with daffodils and snowdrops. Later rhododendrons and many other shrubs burst into exotic bloom making an ideal spot for a picnic! The formal garden to the west of the House was designed by David Hicks in 1993. It features clipped hornbeam hedges, beautiful rose and lavender beds and a fountain where a terracotta porpoise spouts water.